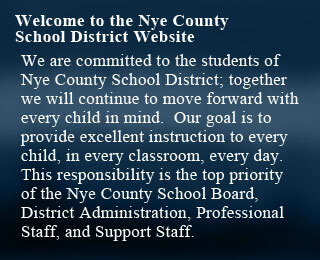 The Nye County School District allows anyone the opportunity to receive important information by disseminating periodic and unscheduled announcements. You may choose subject material by registering under the appropriate group(s) as displayed on the Notify Me page. Announcements will be targeted by category. The nature of the communication distributed will be geared to specific group(s) as deemed appropriate by the Nye County School District. By subscribing to our Notify Me service, you are authorizing us to electronically alert you to important information we deem necessary to bring to your attention. Your email address will never be used for any purpose except for sending you notifications. You can unsubscribe to the service at any time.